Select Italy, the leading Italian travel expert in the United States, and Antinori, the renewed Italian winemaker, have partnered up to create this new concept of wine tours. The opportunities target not only wine aficionados, but also travelers who love to experience hidden locations, history, traditions and culture of Italy. The services consist in a vacation package, winery visit and tasting, cooking class, restaurant experiences and vineyards. The full “Wine Roads of Italy: The Antinori Experience from Salento to Chianti” includes lodging, transportation, private tours of the surrounding areas, a cooking class, and wine tasting and visits to the various properties. 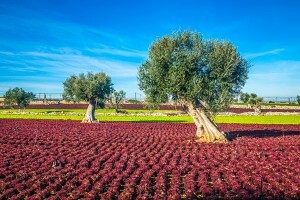 This luxury vacation package begins in the region at “the heel of the boot,” Puglia, recently awarded as one of the world’s Top Ten Wine Destination of 2013 by Wine Enthusiast magazine. After arriving in the city of Bari, the stay begins in Antinori’s Masseria Torre Maizza (in photo), a five-star resort on the Adriatic Coast, and follows with a wine tasting at Masseria Maime, one of the two Tormaresca Puglia estates. The trip moves to Florence with an aperitivo at Antinori’s Procacci and a VIP dinner reservation at the Cantinetta Antinori, in the Renaissance Palazzo Antinori. The luxury vacation includes also a special visit to the Antinori Cantina in Chianti Classico and at Badia di Passignano, concluding with a stay at Fonte de Medici, where the vines of Tignanello are grown. To learn more about Antinori “Wine Roads Experience” offered by Select Italy visit Selectitaly.com or send an email to Select Italy travel at info@selectitaly.com. The article introduces you to Silvestro Silvestori, founder of the Awaiting Table Cookery School; Ylenia Sambati, creator of Cook in Puglia; Gianna Greco and John Duggan, co-founders of Cooking Experience; the Rascazzo family, proprietors of Stile Mediterraneo; cookbook author Anna Maria Chirone of Arnò Il Gusto del Tacco; and Rosalba Da Carlo, head chef at the restaurant Alle Due Corti, where we’ve eaten some amazing tasting, yet simple “cucina povera” meals several times during our visits to Lecce. Where does the world’s best pizza come from? 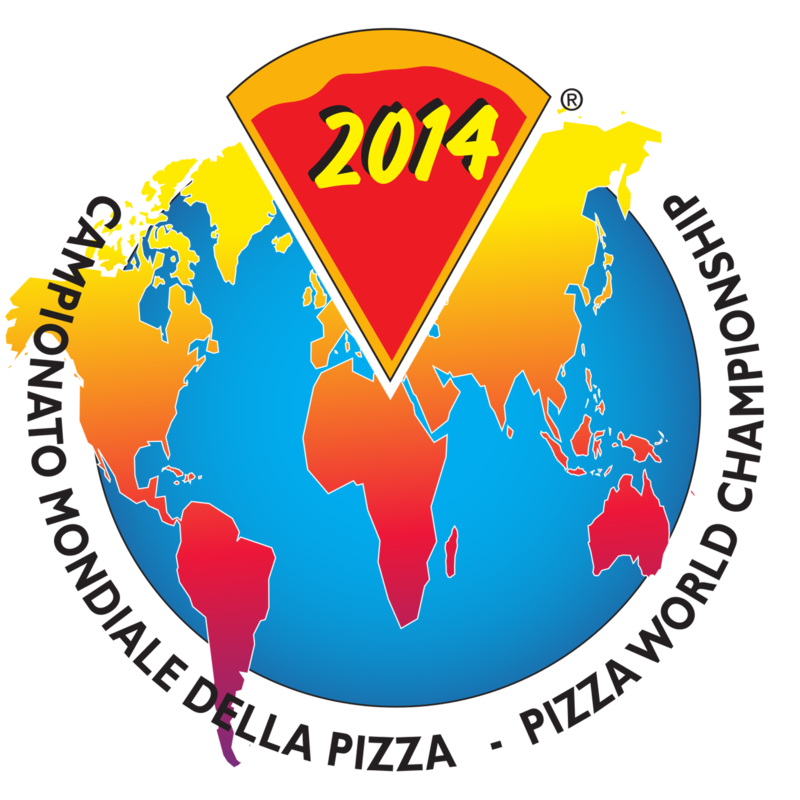 According to judges in the 23rd annual world pizza championships sponsored by Pizza e Pasta Italiana magazine, it comes from Puglia. ANSA, the Italian news service, reports the winning pizza maker is Giulio Scialpi from the pizzeria Barsentum Putignano, a town in the Province of Bari. His prize-winning entry is the “Contadina,” a pizza featuring four cheeses: burrata, caciocavallo, mozzarella and stracciatella, with a topping of eggplant, breadcrumbs and anchovies. If you read Italian click here for a detailed report. 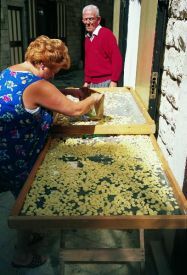 The Westchester Italian Cultural Center in Tuckahoe, NY, in collaboration with the United Pugliesi Federation, is pleased to announce the opening of the exhibit “Apulia Then and Now,” an evocative journey through the heritage, traditions and flavoring of the Region of Puglia. The ancient origins of this region are enhanced by its diverse and breathtaking landscapes. This is the land of sun, sea and wind, where the rural countryside is dotted by ancient olive trees and medieval towns are built on cliffs overlooking the sea. On exhibit are images of the feasts of patron saints, local festivals and historical re-enactments that renew ancient customs and traditions annually. The collection, “Santi di Puglia” (“Saints of Puglia”), has been curated by Cristina Marvulli with the participation of sponsoring Pugliese towns of Acquaviva delle Fonti, Adelfia, Altamura, Bari, Bitonto, Fasano, Novoli, Scorrano, Taranto and Trani. A collection of the famous handcrafted earthenware, “Whistles of Rutigliano” by artist Vito Moccia, is on display. These works of art are a testimony to how the historic craftsmanship still lives on in the splendid artistic creations made today. 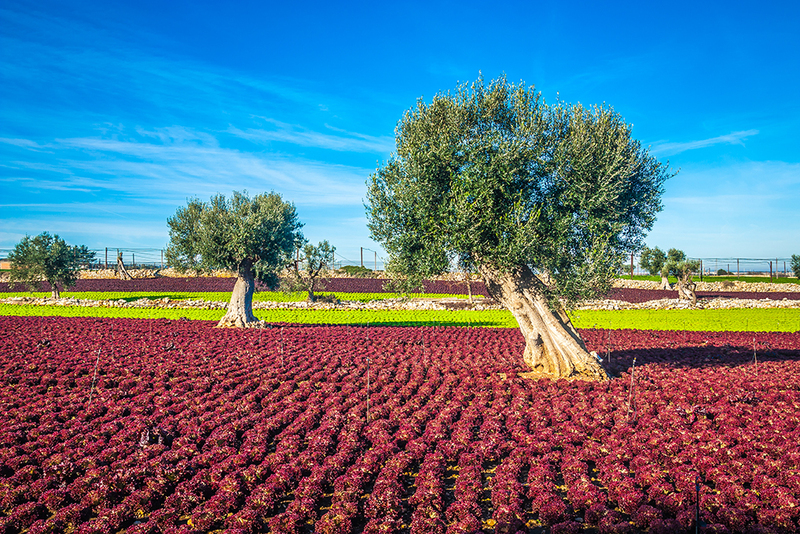 The photographic collection, “A Taste of Puglia,” by photographer Sabino Parente pays tribute to the beauty of this undiscovered land between the blue sky and the turquoise sea. Parente, a photographer and graphic designer, was born in Bari, the capital of Puglia, and his highly acclaimed photo-realistic photography without artifacts won him many awards such as the 2013 – National Geographic Best of Travel 365, photo included in the worldwide selection. The exhibit will be on view through June 7, 2014. For details click here. 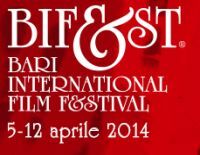 The fifth edition of Bif&st – the Bari International Film Festival – will take place April 5 to 12, 2014. Ettore Scola is President of Bif&st, created and directed by Felice Laudadio. The eight-day festival will showcase 332 different events, out of which 238 are screenings. Of those, 54 are for free, in particular those of a tribute dedicated to Gian Maria Volonté. A total of 141 feature films, 44 short movies, 40 documentary films and 14 special events (among the competitive and non competitive sections, including reruns and retrospectives), will be screened at Teatro Petruzzelli and 11 other cinema halls. The official inauguration of Bif&st 2014 will be Saturday, April 5, at Teatro Petruzzelli with the Absolute Italian Première screening of “NOAH” by Darren Aronovsky, starring Russell Crowe, Jennifer Connelly, Emma Watson, Anthony Hopkins and Nick Nolte. The movie is a cinematic adaptation of the story of courage, sacrifice and hope of the Ark: the Biblical Noah suffers visions of an apocalyptic deluge and takes measures to protect his family from the coming flood. For complete listings of Bif&st 2014 events click here. Irish airline Ryanair celebrated the start of its Dublin summer season with nine new routes serving Almeria, Bari, Basel, Bucharest, Chania, Comiso, Lisbon, Marrakesh and Prague, which will deliver over 800,000 more passengers at Dublin Airport this year. • Over 800,000 extra passengers p.a. Ryanair celebrated the start the summer season and nine new Dublin routes by releasing 100,000 seats on sale across its entire European network, with prices starting from €19.99 for travel in May and June, which are available for booking until midnight Thursday, April 3. For details log onto www.ryanair.com. (PRWEB) Central Holidays has announced year-over-year (2013-2014) growth in its escorted tour bookings of 20%, revealing an increase in consumer demand for value-added escorted tour packages from previous years where independent packages and rate-driven deals were all the rage. For 2014, the tour operator is offering discounts on new Italian itineraries, including one featuring Southern Italy and Puglia. Flavors of Southern Italy & Puglia – 11 days from $2,199 – Travelers arrive in Naples and take a short drive to Sorrento, resort town dotted by orange and lemon groves. On the way to Positano, adventurers will embark on a cruise down the Amalfi coast and take-in the awe-inspiring views of the Bay of Salerno. The next morning, a jetfoil whisks them across the aqua-blue Bay of Naples to fabled Capri. Here they will discover the Floral Gardens of Caesar Augustus and ascend the Piazzetta. The fun continues in Matera, a UNESCO World Heritage site featuring caverns, small villages and frescoed churches from years gone by. Travelers will sample local wines during a private winery tour and tasting in Lecce and traverse the city’s maze of small streets complete with a castle, seafront promenades and some of the best seafood restaurants in the region. 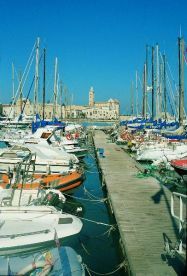 Tour Puglia, Bari and Trani for a flavorful trip that is simply delizioso! For complete details on the company’s escorted tour packages, visit CentralHolidays.com. These promotional savings of 10% off are valid on new bookings starting March 15 and must be booked by May 30 for travel throughout 2014. To qualify for the discount, bookings must be deposited or paid in full if booked within 60 days of departure. For more information, contact Central Holidays at 1-800-935-5000 or visit CentralHolidays.com. You are currently browsing the Puglia Connection Blog blog archives for April, 2014.